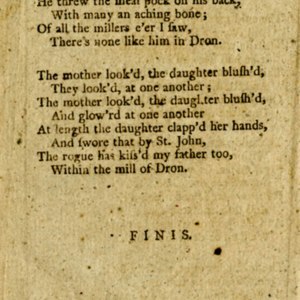 This chapbook includes two ballads. 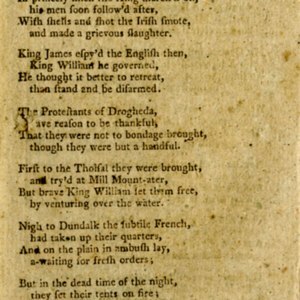 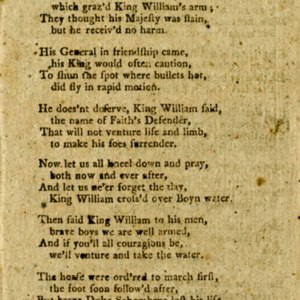 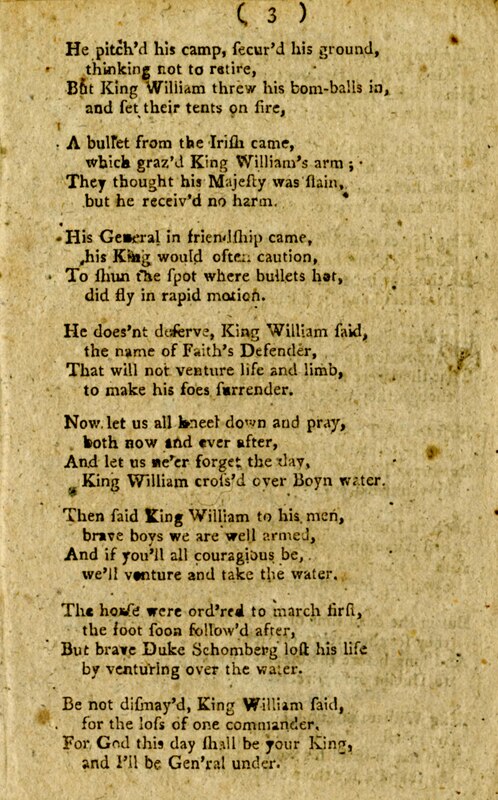 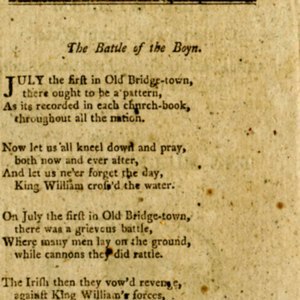 The first is a recounting of the events of the Battle of the Boyn wherein King William routes the deposed James II at the Boyn in Ireland during the First Jacobite Rising. 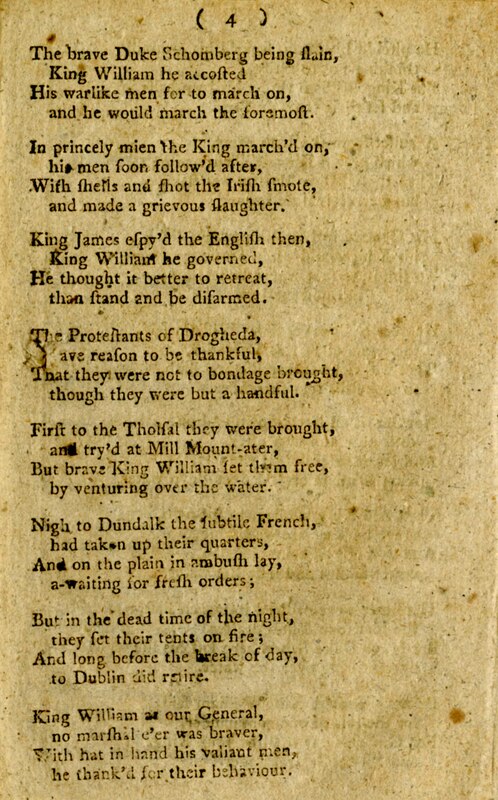 There is an interesting play on the nationalist tone of piece that seems to support the Protestant monarchy while still providing a somewhat sympathetic view of James. 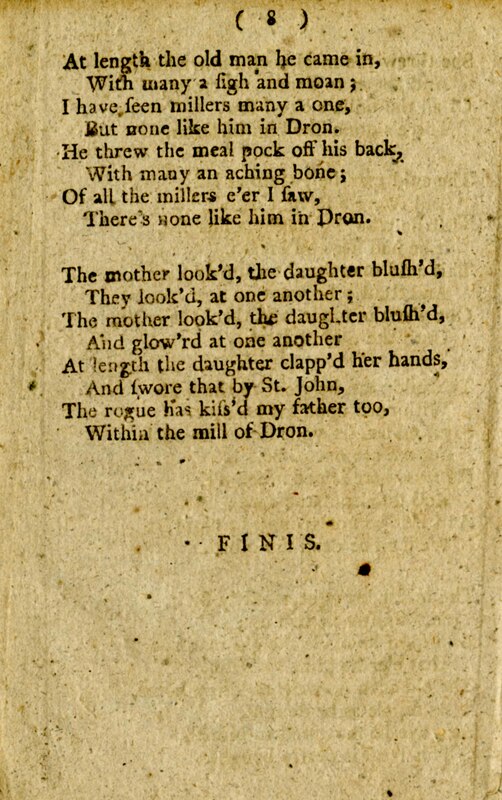 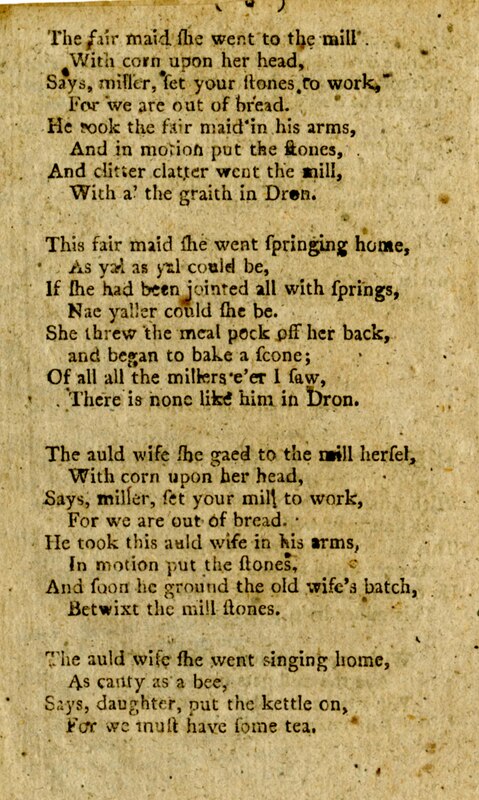 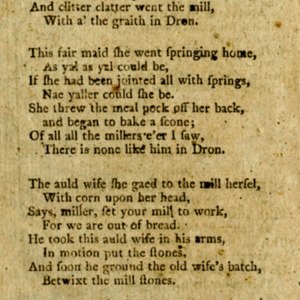 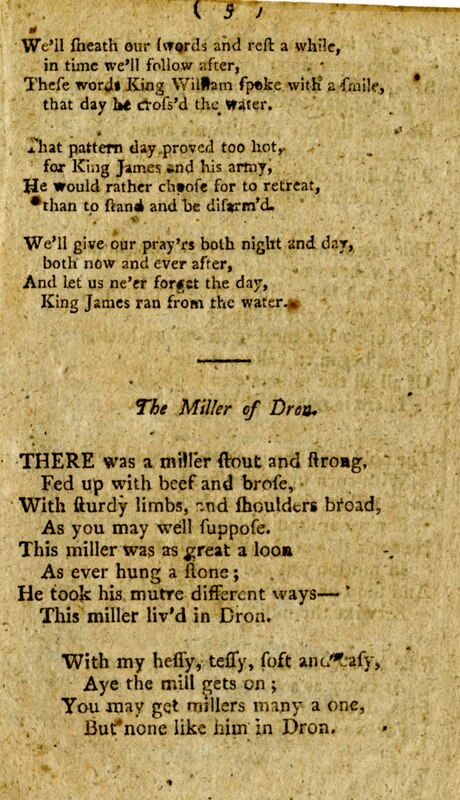 The second ballad is a ribald song about a miller who “sets his stones to work” on first the daughter, then the wife of an old man, who are both pretty pleased with their ‘encounters’. 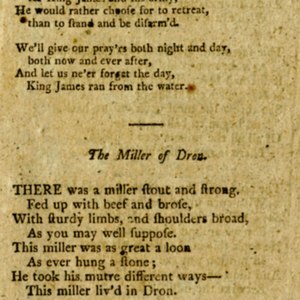 When the old man goes to revenge himself on the miller, the miller instead beats the old man and sends him back home to his womenfolk. 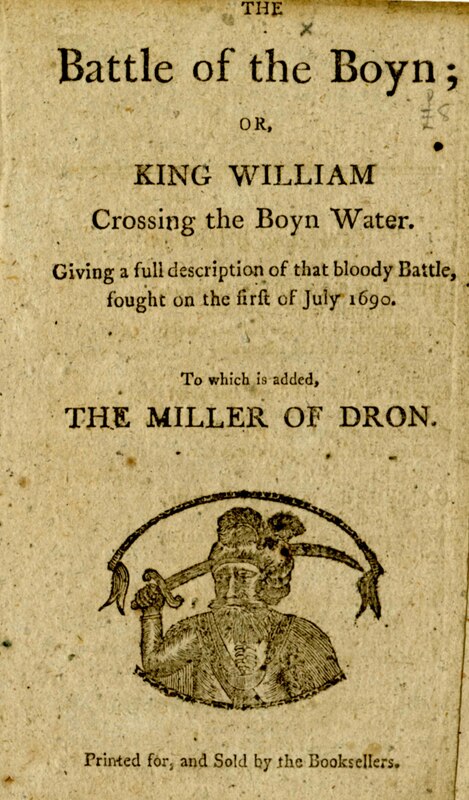 Sharpe Charles Kirkpatrick, “The Battle of the Boyn; or, King William crossing the Boyn Water. 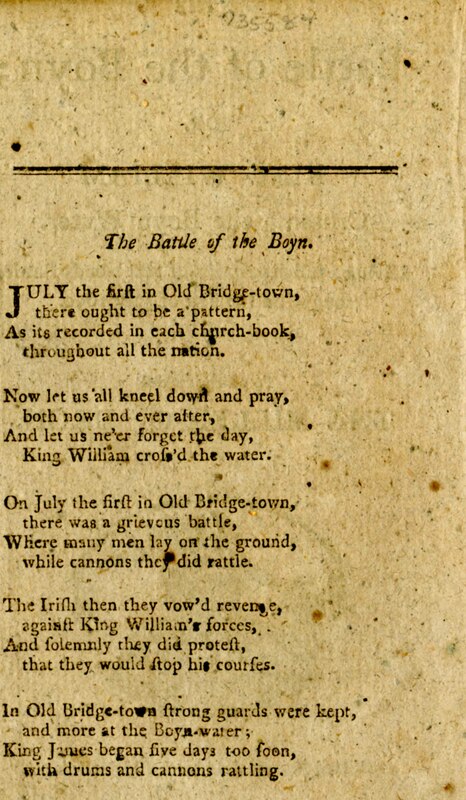 Giving a full description of that bloody Battle, fought on the first of July 1690. 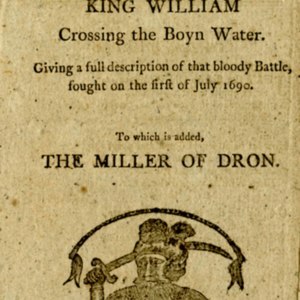 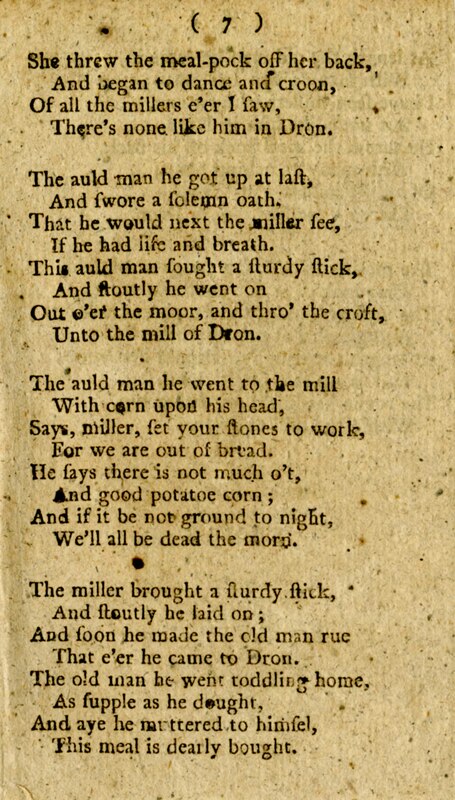 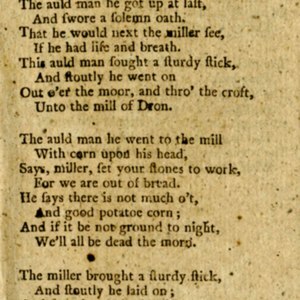 To which are added, The Miller of Dron,” Scottish Chapbooks, accessed April 25, 2019, https://scottishchapbooks.lib.uoguelph.ca/items/show/545.